The impulse for this transformation came from the Spanish publisher of Stalingrad and Berlin, Gonzalo Pontón, the founder and headof Crítica which over the last thirty years has published more major works of history than almost all the other Spanish houses put together. 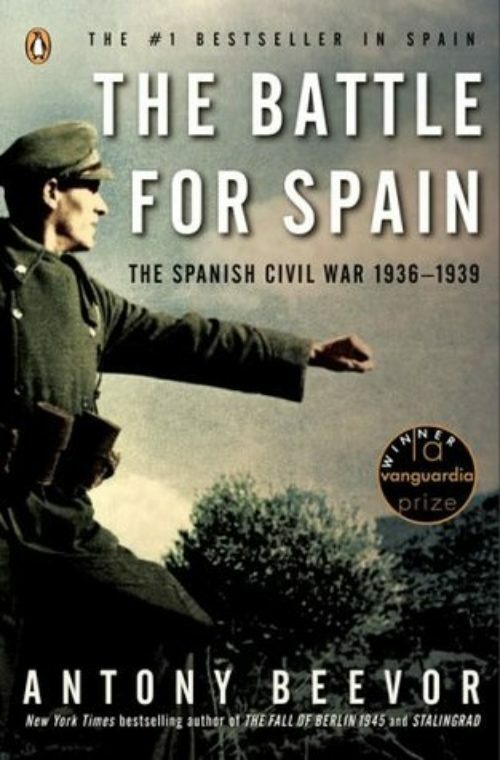 He wanted a new general history for the 70th anniversary of the outbreak of the Spanish Civil War in 2006. La Guerra Civil Española was published in Spain in September 2005 and became the No 1 Bestseller for the next three months. After five months in the top ten, it sold more than 50,000 copies in hardback. In December 2005, the book received the La Vanguardia prize for non-fiction. The book has been a top ten bestseller in seven countries. For all non-Spanish editions the original synopsis of the country’s history has been included as a very brief reminder for readers. The structure and the general approach also remain more or less the same. The real difference lies in the detail from new sources, both Spanish and from foreign archives. The Spanish Civil War, even after all these years, remains one of the most passionately debated conflicts of modern times. Many see it as the opening round of the Second World War. Some supporters of the Republic still believe that a victory of the left in Spain would have defeated fascism and saved Europe from the horrors to come. Nationalists, on the other hand, argue that the civil war, almost a world war by proxy, was in fact the opening round of the Cold War between western civilisation and Soviet dictatorship. This book charts not only the course of the war in a fresh light, but illuminates the vicious infighting on both sides. The hopes and fears of a whole generation foundered in disillusionment and despair at the collapse of the Spanish Republic, under the onslaught of General Franco’s forces supported by the Nazi Condor Legion and Mussolini’s intevention with ground and air forces.